OGCOpenInfo is an information client for the great Online Golf Challenge game. 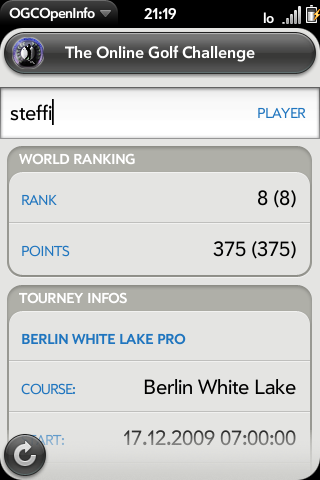 Just enter your (or your friends) player name and get realtime stats for world rank, world points and current tournaments. You will find the Online Golf Challenge game at http://www.ogcopen.com. It needs a current flash installation on your desktop computer.